A letting in the Oxford area for which Cristal Clear undertook the Inventory and Check out ended in dispute between the Landlord and the Tenant. Turning to the Deposit Protection Scheme (DPS) for a resolution, both parties submitted their (unfortunately) very different understandings of events. 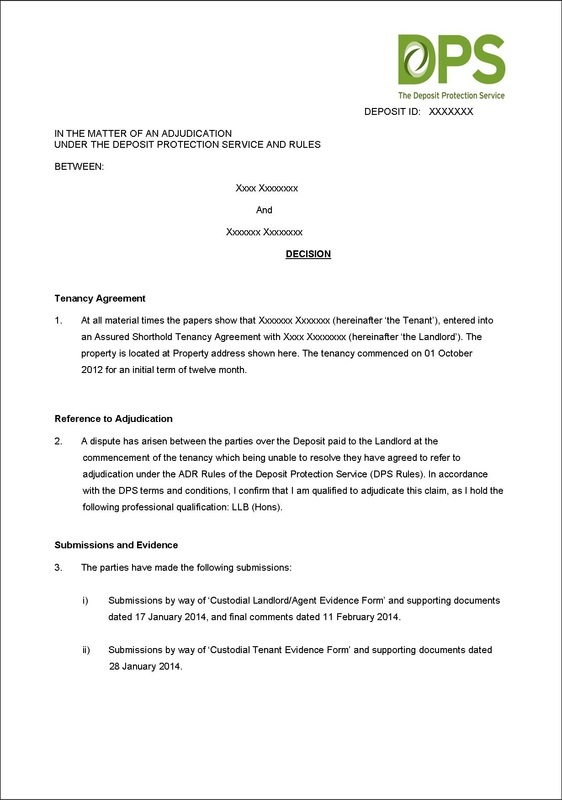 The Cristal Clear inventory and Check out report were used by the Arbiter as the basis for his assessment and his decision was presented to both parties in the form of a detailed six page adjudication. "Please may I take this opportunity to thank you and your colleagues for the work you did on behalf of all parties and your scrupulous impartiality and professionalism throughout." Yet again, this underlines the importance of having a professionally prepared, independent inventory from Cristal Clear Inventories.